The Dana Shores Civic Association’s leaders and volunteers take a project-oriented approach to bettering Dana Shores and the surrounding area. We enjoy strong community participation, with well over one hundred neighborhood volunteers engaged in different community projects each year. Our neighbors offer a broad palette of strengths, and there is a place for each person to help shape our future. Given our broad scope and participation, we rely on three values to bring us together and guide our actions: Collaboration, Execution, and Working for the Majority. We are fortunate to have great partners in the Dana Shores Women’s Club and Hillsborough County Commissioner Sandy Murman. Collectively, we offer something for everyone: a sense of community, enhanced safety, respect to our military, increased property values, care for the environment, altruistic endeavors, and historical preservation. 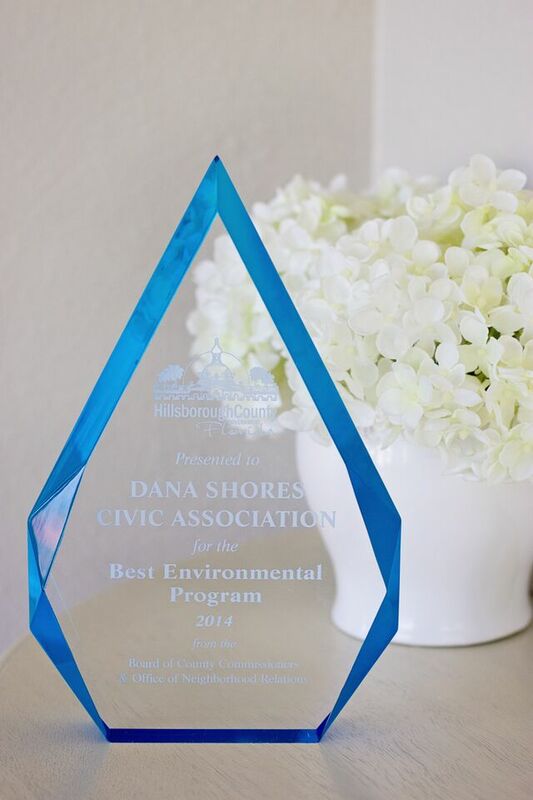 Based on our collective efforts in 2014 and 2015, Dana Shores was recognized for the Best Environmental Program from the Hillsborough County Board of County Commissioners and the Office of Neighborhood Relations. In 2016, we were recognized for the best Neighborhood Communication. Our vision is based on community input and includes initiatives across nine strategic areas.